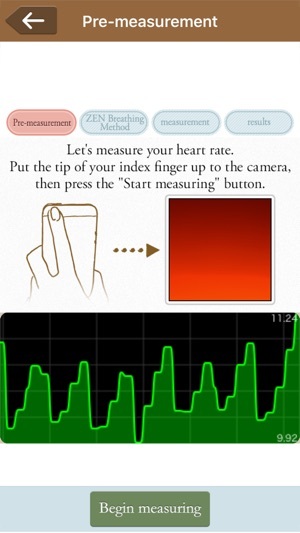 This is an excellent app to practice Yuki Shiina’s "ZEN Breathing Method" and measure its relaxation effect by just putting your fingertip on top of the iPhone camera for over 30 seconds. "ZEN Breathing Method" is based on a breathing method written by Zen Master Hakuin Ekaku(1686-1769).His method has been practiced for centuries in Japan and passed down among Zen priests, professional athletes, and a wide variety of performing artists. come from the Wearable Environment Information Network Organization originated in University of Tokyo. 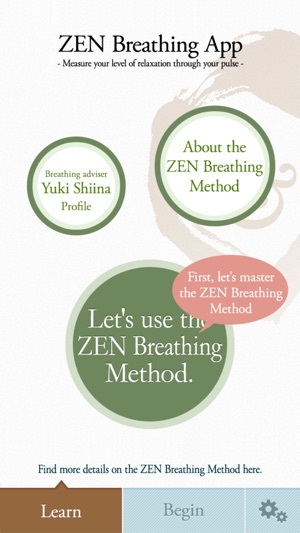 "ZEN Breathing Method" is divided into 5 levels according to the length of exhalation breath. Please start from level 1. 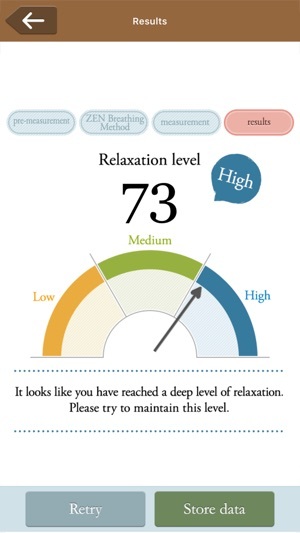 Every time you can measure your relaxation level before and after the "ZEN Breathing Method" to know the effect. 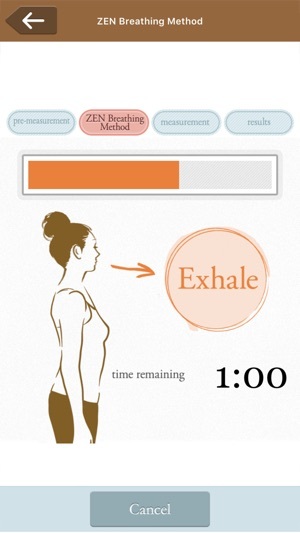 The level of the breathing method will increase according to the achievement of your relaxation level. 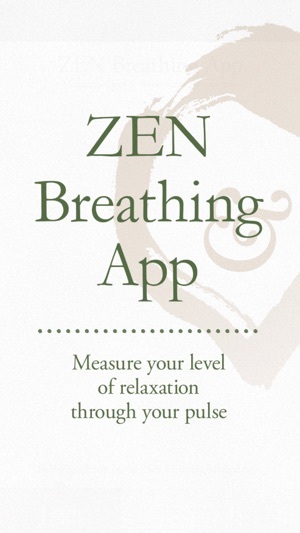 By using this app in your spare time every day, you can achieve all levels of the breathing method to become the "ZEN Breathing Method Master" in 3 to 6 months. In case of no guidance sound for the breathing method, please check your audio setting. 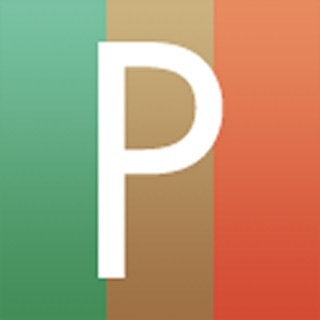 © 2018 WINFrontier Co., Ltd.